For the third year in a row, Eastman Business Park was designated as the region’s top priority for job creation in the manufacturing sector, by the Finger Lakes Economic Development Council. When the council recently put the finishing touches on its list of priority projects, on an application seeking $3 million in state funding for the creation of a "fermentation cluster" at EBP stood at the very top. A fermentation cluster is a set of specialized equipment that allows a group of companies to utilize the Park’s infrastructure to convert sugars and other natural substances into biobased processes and products. According to economic development officials, EBP is well-suited to support the creation of biochemicals, biofuels and bioplastics. EBP offers a suite of analytical and testing tools, chemistry scale up, chemical toll manufacturing, plastics formation, HSE support, project management and logistics support for a research and manufacturing ecosystem aimed at accelerating the deployment of next generation technologies in the biomaterials space. Already there is high level interest among bio-based companies to create the kind of public/private fermentation system consortium being proposed at EBP. If chosen, the first phase would involve retrofitting an existing facility onsite to include the installation of tanks, piping, pumps, computer controls, electrical systems and loading docks connected to the Park’s integrated transportation grid. 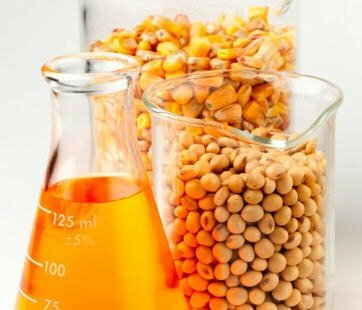 Initial fermenting capacity would be in the 100,000 -500,000 liter range, with future investment for commercialization of biofuels in the 1M liter range. In all, 22 area projects have been entered in the regional competition by the Finger Lakes council, a 33-member body representing Monroe and eight other counties. Last year the council took home nearly $100 million in regional economic development funds – the most by any of the state's 10 councils. A state decision for this year's awards is expected by year's end.